Profile Construction - Builder based in Horsmonden, Kent. 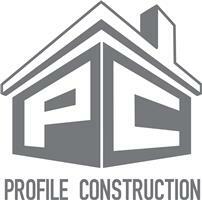 Profile Construction is a partnership between two lifelong friends. David Stevens who is a carpenter and joiner by trade with over 17 years in the building trade. Daniel Clifton who is a brick layer by trade with over 16 years experience in construction. We have been working together for over ten years on and off on small projects and decided to team up on a permanent basis around 3 years ago. We can now take on larger projects including new builds, extensions, renovations and alteration. We have a small team of guys including plumbers and electricians who together with ourselves can complete jobs of any size from a simple garden wall or front gate to large extensions and complete new build houses.